New Delhi: OnePlus’ flagship smartphones are instant best-sellers in the country and the OnePlus 6T, the latest flagship from the company is no exception. Amazon.in association with OnePlus announced it unique ‘Lucky Star’ Campaign last week to celebrate the four year Anniversary of their partnership. 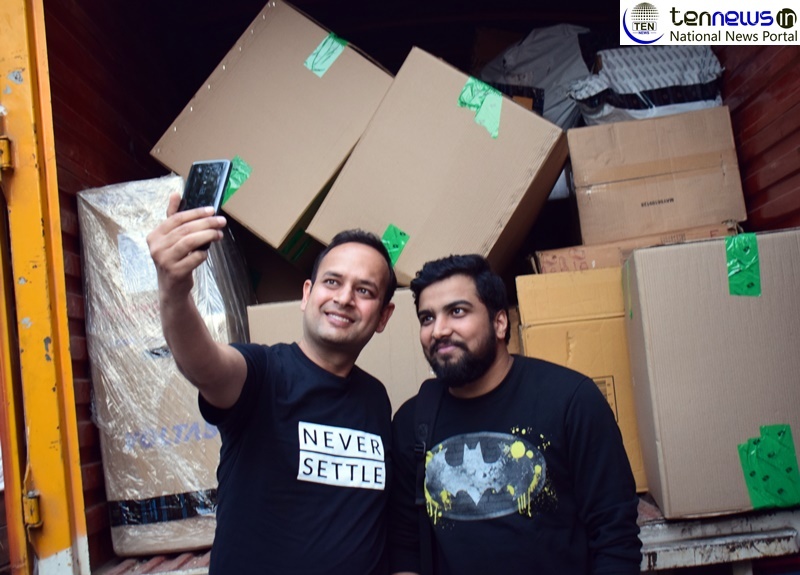 On Friday, OnePlus Lucky Star Shashank Shekhar Who bought the OnePlus 6T during the OnePlus and Amazon.in Anniversary Celebration received a truckload of over 600 gifts. The gifts were delivered personally by Vikas Agarwal, General Manager, OnePlus India to his Doorstep.